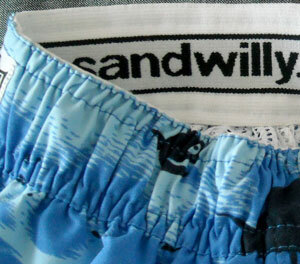 Wes and Willy swim trunks are real popular for their style, fit and especially comfort. We think that if you compared them to other brands carried by most mass merchants you will find the quality will make them last longer than just one season. They are incredibly comfortable. 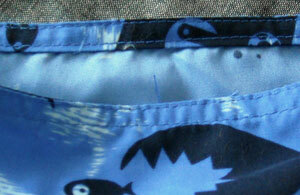 The waistband, the liner, the brushed micro-fiber are all made to be soft to the touch. Boys love that. The micro-fiber fabric, it’s thicker and sturdier than most swim fabrics which means it won’t cling, stands up to abrasions and holds color better. Add Wes and Willy’s color-fast proprietary prints, and you’ve got a swim trunk that stands up to sea-water, chlorinated pool water and multiple washes like a champ. Plus, you can MSRP these for $40-44 and give yourself around 60pts to work with! Customers can feel the quality and will come back looking for more. 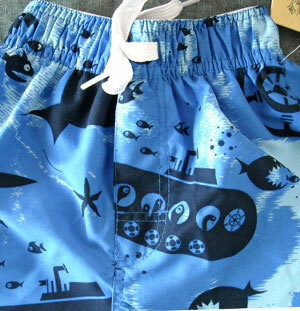 This entry was posted in boys clothing, Brand News, Featured item and tagged boys swim trunks, swim trunks, Wes and Willy on January 3, 2012 by Suzanne R.